Sounds like exactly what i need to kick start my journaling that has been abandoned for almost twenty years (and then it was only when i was obsessive about a boy!) so need to branch out and begin anew! I have always wanted to journal, but have never gotten around to it. I would love to read Mari's suggestions on how to get started! Thank you Robyn for the great interview! See you in class in June! 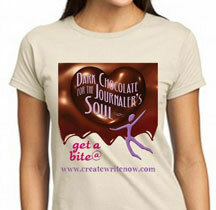 Hi to all my sister journalers! Please let me know how I can help you with starting and/or sticking to your Journaling Practice. WriteON! 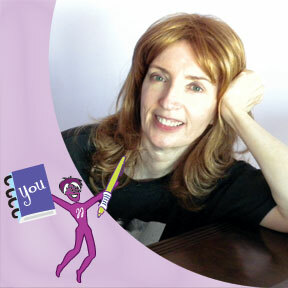 Do you consider your MS part of your "author platform?" I'm not familiar with the term "author platform". Please help me out there. Thanks. I've been journaling for years, but lately I haven't been very consistent. This workbook would be a great help. Looking forward to "class" in June and beginning a new relationship with my journal! In regards to "author platform"--that is generally a term used by publicists/publishers to indicate a target market, how a book is marketed, or an author's audience. This book sounds like it would be right up my alley. If I don't win, I will buy it. Journaling is a major factor in my happiness! Thanks Robyn, see you in June! And to Bonnie, ditto and WriteON! Lady. What a neat kit! I've been journaling off and on for almost 30 years. It's so fun to look back to my journals from elementary school! This sounds like a good starting point for me. I've dreamed of writing for years. This year I've finally decided to make it a reality. I read a tip the other day to start by journaling if you're really not sure what to write. So that's where I'm beginning. What a great way to start journaling! I love the idea. I have gone through periods of journaling and would like to start again. This would be helpful. Author platform is hard to distill, but I think of it as what makes you uniquely qualified to write what you write. I've been meaning to journal and am at a loss as how to get started. Thank you for your comments. :) We held a drawing via random.org and it picked comment #2 as a winner. Congratulations Janel! You won a Journaling bundle! Prizes include an e-copy of Start Journaling and Change Your Life in 7 Days ($19.97), and a Journaling Jumpstarter Kit ($24.95), which includes Create Write Now's Signature Journal (spiral bound), 85 of Mari's Most Musefull Journaling Tips (spiral bound) and luscious lavender scented pen. 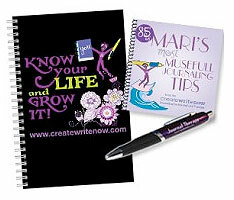 Please send your mailing address to blogtour@wow-womenonwriting.com and we will forward it to Mari for you. I see your email on your profile, so we will follow up with an email. 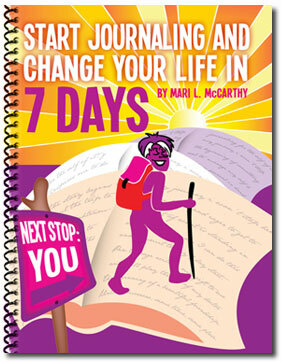 Also, make sure you sign up for the journaling challenge that goes with the book! It's on June 4th, and you'll get to network with other journalers. For everyone else: make sure you check out the rest of the stops on this tour for more giveaways and fantastic advice from Mari McCarthy!